You’ve likely heard of lemongrass in a number of different applications, including as a popular flavoring for Asian dishes and various curries, but there is a much more important use of this plant. Lemongrass, scientifically known as Cymbopogon citratus is also used as a culinary herb in many parts of the world, primarily in India, Asia, and Australia. Due to its wide applicability in culinary dishes and its power as an herbal remedy, it can now be found in most places around the world. Even Citronella oil, which is extremely popular as an insect repellent, comes from citronella grass, another species in the lemongrass genus. Lemongrass oil has certain antifungaland antioxidant qualities and is also used as an insect repellent and preservative. There are a number of beneficial compounds found in lemongrass tea and its caffeinecontent and the polyphenolic compounds can work to stimulate your metabolism. Your body will more effectively burn unhealthy fats and increase your overall energylevels. This can be excellent if you are attempting to lose weight or complement your workout regimen. For thousands of years, lemongrass has been used in various cultures around the world to soothe stomach issues and improve overall gut health. The tea contains a component called citral that can help digest foodmore effectively, thereby preventing constipation and other irritation in the bowels. 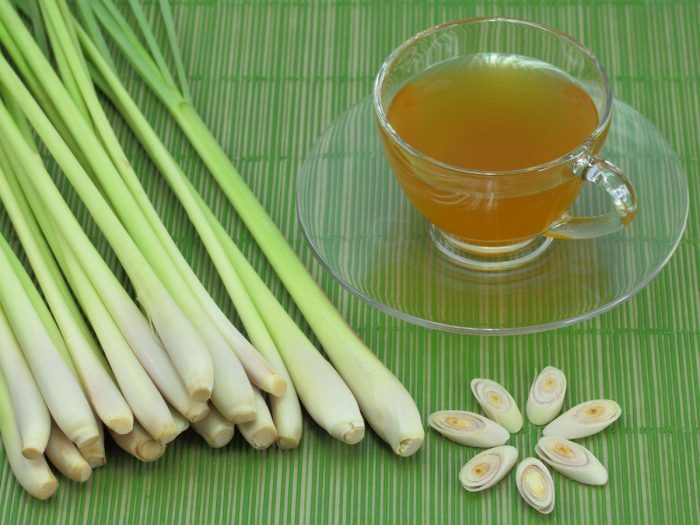 Furthermore, the anti-inflammatorynature of lemongrass tea’s antioxidants will help improve the balance of your microflora and prevent acid reflux disease, hemorrhoids, and other irritating conditions. The antioxidants present in lemongrass tea do a great deal for the body. Antioxidants and polyphenols are able to defend the body against oxidative stress, one of the underlying causes of chronic illness, and even cancer. By increasing your antioxidant levels every day with a cup of lemongrass tea, particularly citral, which is the active ingredient, you can defend against the negative effects of free radicals and ensure prolonged health. Whether you are suffering from arthritis, a sore throat, a headache, or a twisted ankle, the anti-inflammatory effects of lemongrass tea can have an effect all over the body. By reducing inflammation in the tissues and cells of the body, it can effectively ease painand reduce irritation. This also makes lemongrass tea a good topical application for certain skin issues; you can allow the tea to cool and then apply it with a cloth to the affected area. As an add-on to the anxiety, stress, and depression-fighting characteristics of lemongrass, it is also an excellent sleep aid. As a sedative substance, it can soothe the body and mind by inducing the release of serotonin and helping you overcome symptomsof insomnia or chronic restlessness. A healthy body begins with a healthy sleep cycle, and lemongrass tea may be your sleep regulator.